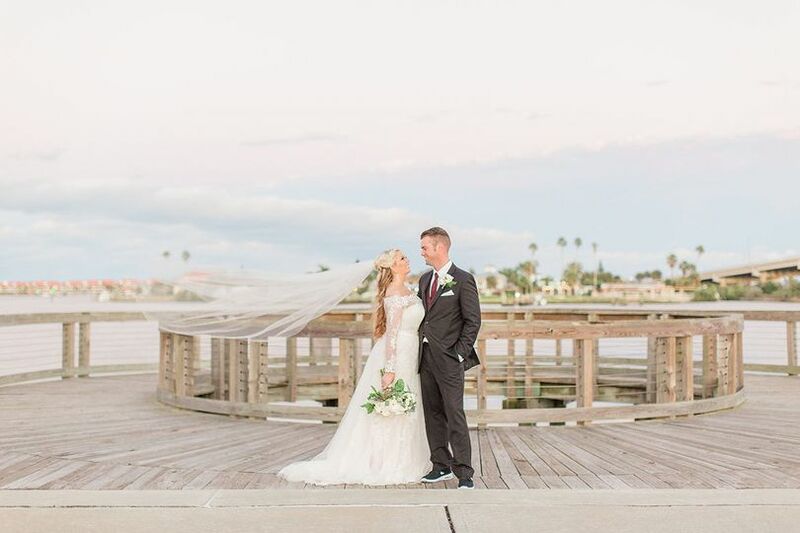 Based in downtown New Smyrna Beach, Florida, Brannon Civic Center is a waterfront wedding venue that offers a coastal backdrop for couples in the Greater Orlando region. 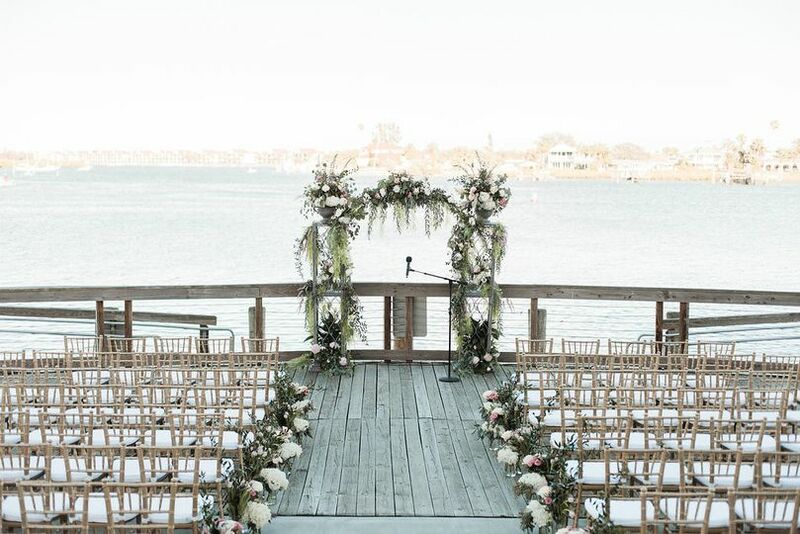 With a sleek and spacious ballroom right on Indian River, you and your guests can take in a breathtaking view of the sparkling Intracoastal waterway. 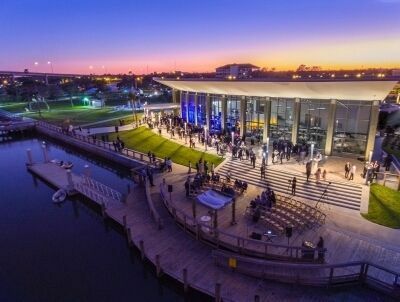 The contemporary architecture and modern lighting fixtures create the ideal space for nautical celebrations. 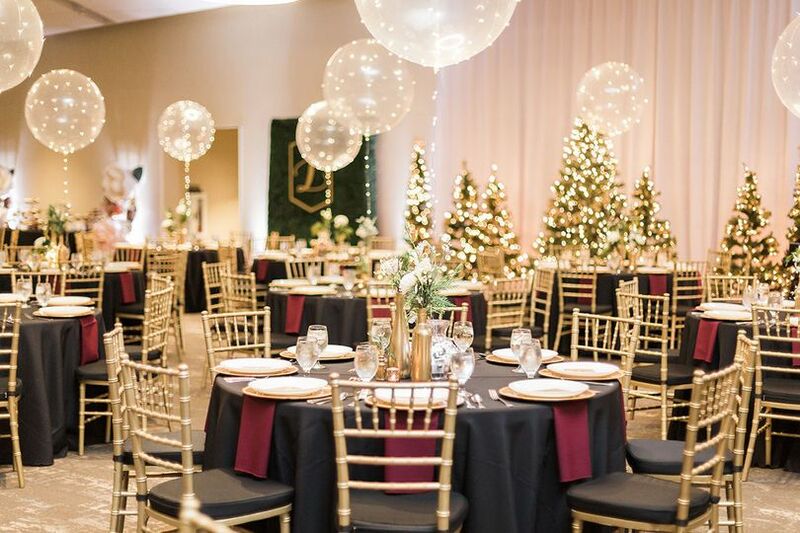 If you are searching for a unique and stylish venue, consider hosting your big day at Brannon Civic Center. 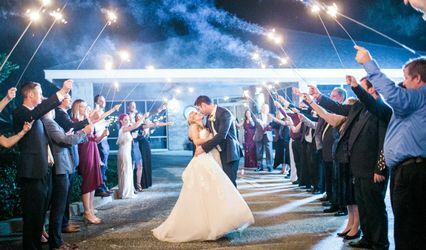 The cutting-edge venue is suitable for indoor and uncovered outdoor celebrations. 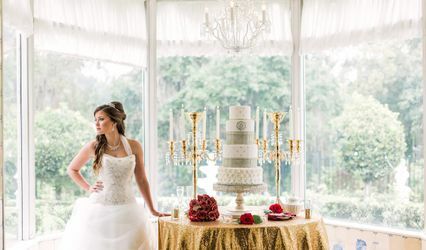 In the Grand Ballroom with extravagant floor-to-ceiling windows, couples can host up to 500 guests while taking in the scenic views. 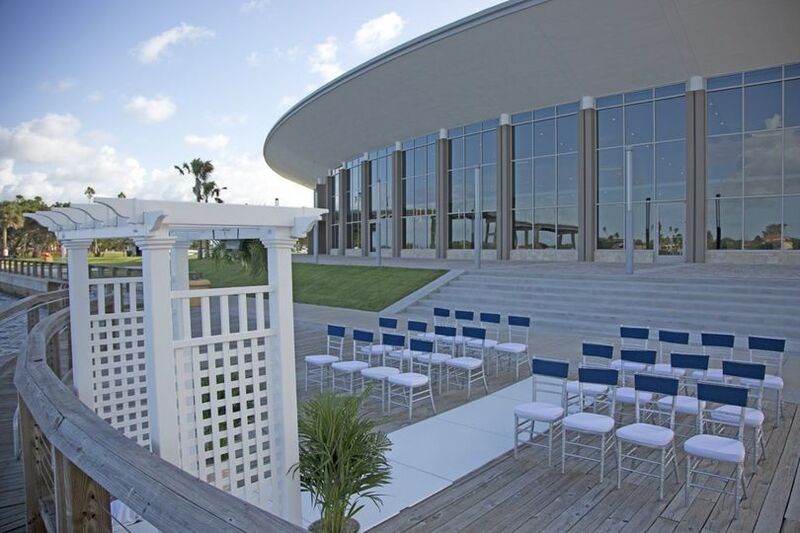 Brannon Civic Center also features a picture-perfect waterfront dock, an outdoor private terrace and an outdoor green space ideal for wedding ceremonies, games and photo shoots. Two smaller additional rooms can also be combined to provide 1,850 square feet for additional needs. 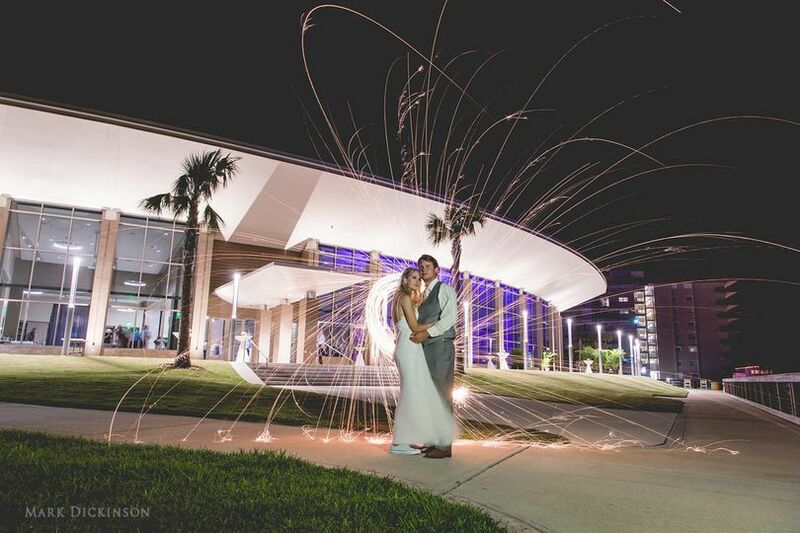 Because Brannon Civic Center is located in the heart of New Smyrna Beach, the venue is just steps away from historic Canal Street, New Smyrna Museum of History and River Deck Marina. New Smyrna Beach Municipal Airport is just seven minutes away, and Orlando International Airport is about one hour away. The Brannon Center was amazing!! Not only is the place GORGEOUS but the staff is top notch! 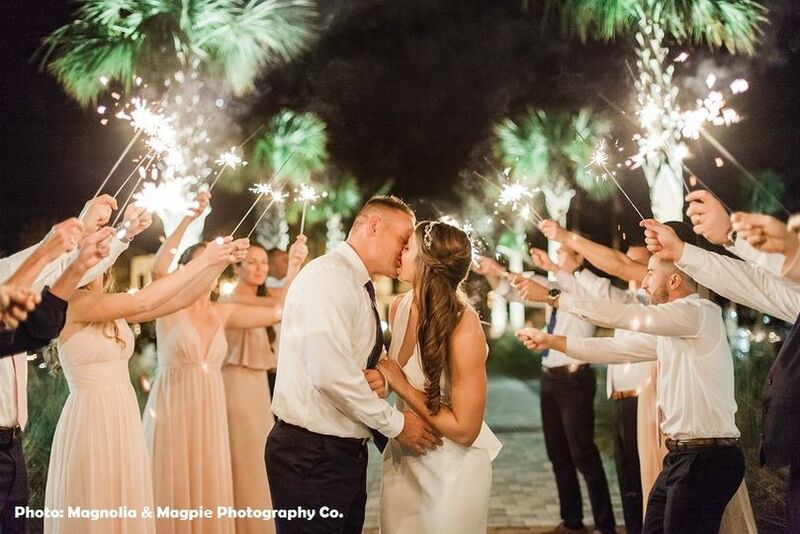 They were helpful throughout the entire process! 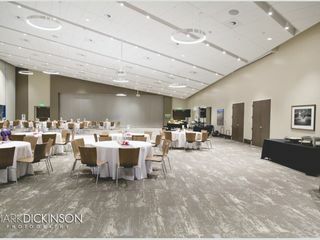 I highly recommend the Brannon Center to host your event. They will not disappoint! Lisa and Katie at the Brannon Civic Center are so kind and quick to answer any and all of our questions. 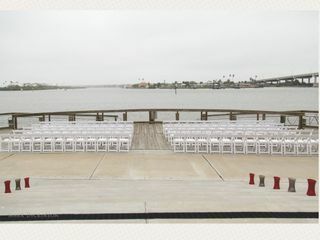 They were extremely flexible with how thing were set up for our event and made the whole experience less stressful. I also think they coordinated with our vendors behind the scenes because we barely had to do anything on the day of the party. 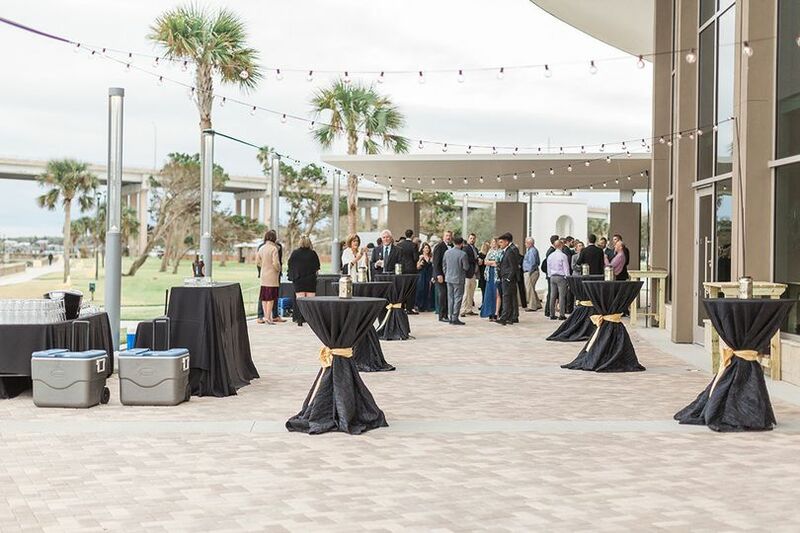 We highly recommend this venue because it is a big open room with a great outdoor space so guests can go in and out as they like. Our guests kept commenting on house nice the location was with big windows facing the intercoastal waterway. 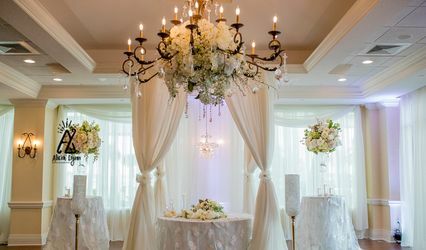 This location is especially ideal for a large number of guests as you can easily fit a few hundred people in the room. 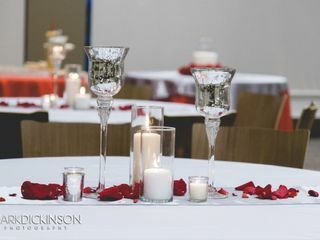 The Brannon Center is a beautiful wedding venue! As a photographer it has so many options for outdoor photos that I love!